Mr. Grothe is the Studio Owner and Chief Instructor of Martial Arts Academy of Tang Soo Do - MN as well as MAATSD MN - HERO. Mr Grothe has been practicing Tang Soo Do since 2003, has been teaching since 2005 and has been a WTSDA certified instructor since 2008. He has also studied Wing Chun, Hapkido, Boxing, Tai Chi and Qi Gong. Mr. Grothe’s specialty is with children, especially those with ADHD and on the autism spectrum. He has worked a number of years in special education within the school system and has been trained in Nonviolent Crisis Prevention Intervention (CPI). Mr. Grothe is also working towards become a Certified Physical Therapy Assistant, to better help serve his students. 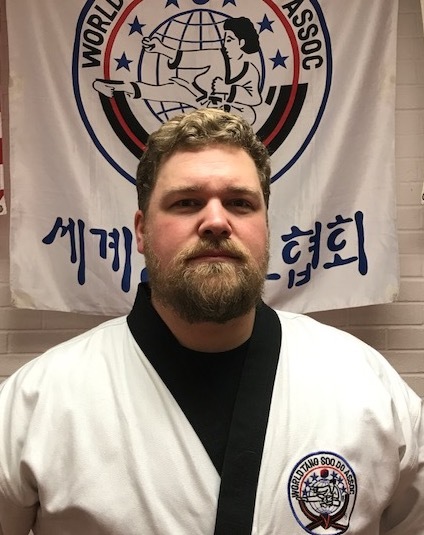 Mr. Grothe’s focus is character building and technical excellence in the martial arts; instilling conference, leadership and respect, all while maintaining a high degree of technical understanding and proficiency in all his students. Mr. Grothe has a very detailed and precise plan for progression though the ranks, while still maintaining flexibility and adaptation towards the individual students learning needs. Mr. Grothe also specializes in competition sparring, has won a number of regional championships and has taken 3rd place in WTSDA World Championship. "Tang Soo Do helped build a character of respect and integrity in me that I would not have had without my training. My teenage years were tough for me and Tang Soo Do and the instructors here helped me though difficult times and positively shape my character, building my confidence and leadership. I want to provide the same life changing opportunities for others that I had." Head Instructors are at the core of our teaching crew. They head a specific class, and are in charge of student progression, lesson plans and testing. This is a huge responsibility and great honor within the school. Mr. Cruz has been practicing Tang Soo Do for over 15 years, is a 3rd degree Black Belt and has been teaching martial arts for over ten years. He has a Bachelor’s Degree in Psychology, certified in Alcohol and Drug Counseling, and is pursuing his Master’s Degree in Clinical Counseling with long term plans of getting his Doctorate in the clinical counseling field. Mr. Cruz works at UPS as a Package Handler in the Minneapolis Distribution Hub, He is also employed by Minnesota Adult and Teen Challenge as a Recovery Coach with the clients of the long-term and inpatient drug and alcohol treatment program. "I have the honor and pleasure of being one of the co owners and senior instructors here. At 28 years old, I am living my childhood dream! I love connecting with people of all ages and helping to improve their quality of life through the training in and practice of Tang Soo Do. All of our Instructors are highly trained and WTSDA Board Certified, and annually tested re-certified. Ms. Cruz started training in Tang Soo Do when she was eleven. Thirteen years later she still loves it! She makes time for Tang Soo Do between her work and studies. Ms. Cruz currently attends the University of Minnesota Duluth where she is a graduate student and research assistant in the Civil Engineering program. Along with Tang Soo Do Ms. Cruz is also a member of the World Ki Gong Association and has a background in boxing. "I am passionate about Tang Soo Do. It helped me take control of my health when I was young and is now a great stress reliever for me as a busy adult. I am constantly falling back on the principles that it taught me (like perseverance and consistency) and always encouraged by what I have accomplished as a martial artist. I look forward to many more years of training and teaching." Ms. Schiferl has been studying Tang Soo Do since 2013, and assistant instructing since 2014, and received her Black Belt in 2016. She works providing residential services for individuals who are deaf with additional disabilities and is working on her Masters in Clinical Psychology. Ms. Schiferl is fluent in ASL, has her Bachelor's in ASL interpreting, and has over two years experience working with those who are deaf and have additional disabilities. Ms. Schiferl strives to bring her experience working with special populations and education to her lesson plans as head instructor for the children's class. "Through martial arts have become stronger physically and mentally. Tang Soo Do is not just about kicking and punching, but has influenced how I live my life in every way. MAATSD has been like family to me and I consider it a privilege to now be able to help others on their journey." Mr. Dahl is 18 years old and has been doing tang so do for 12 years. He's currently a senior at centennial high school and is active in wrestling, football and track. Mr. Dahl also has a passion for music, playing both guitar and drums. He's also a special needs side by side at eagle brook church. 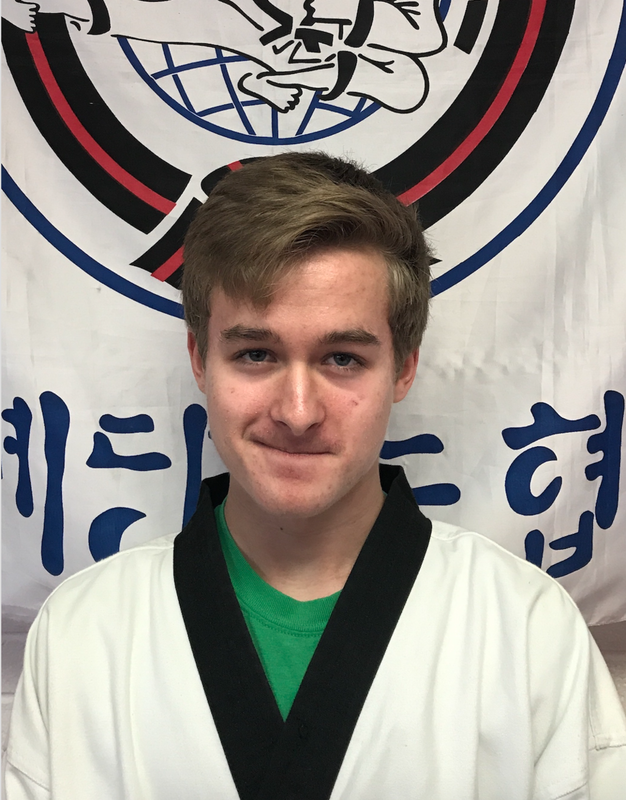 "I like Tang Soo Do because it's made me the teacher, student athlete and mentor I am today. I keep doing tang soo do because there's always something to strive for always thing to work on and always new ways of thinking"
Riley Budge is 15 years old. He has been doing Tang Soo Do for 11 years. He is currently a student at Centennial High School.